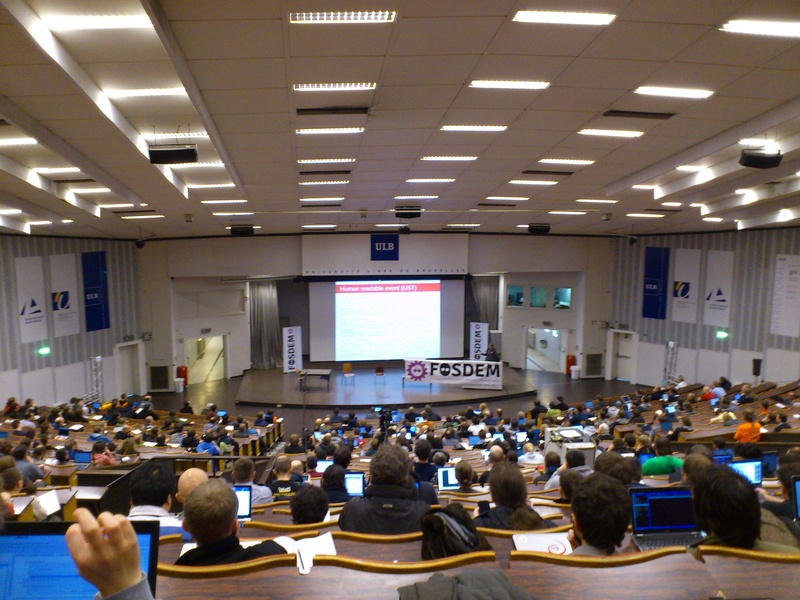 Euro-TM participated in FOSDEM 2014 with the objective of presenting the most recent results in the area of Transactional Memory research. 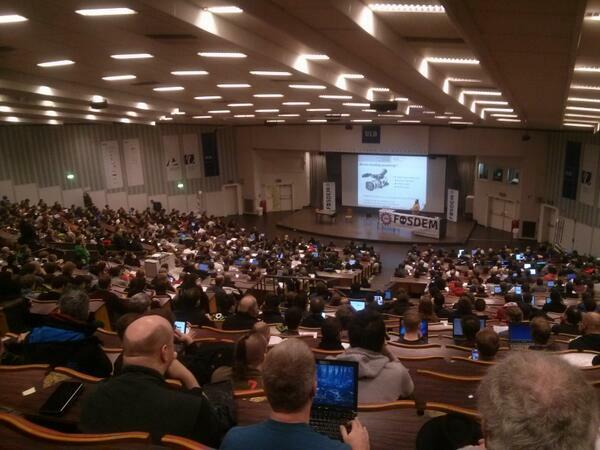 FOSDEM is a renowned forum in Free Open-Source Software (FOSS) that takes place every year in Brussels and gathers thousands of industry members, students and researchers (estimated as above 5000 this year). For this event, two Euro-TM members, Nuno Diegues (INESC-ID, Portugal) and Torvald Riegel (Red Hat), delivered a one hour presentation in the main track entitled "Concurrent Programming Made Simple". The objective of this talk was to disseminate the results and prototypes that resulted from two successful European projects that were conducted by Euro-TM members. 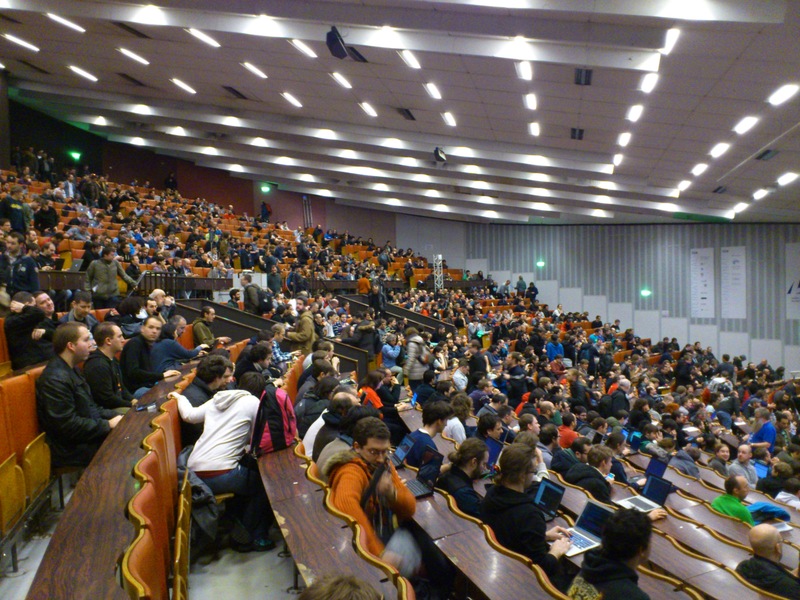 Transactional Memory was introduced to the audience, along with its support in GCC (from the Velox project) and development stack for cloud computing (from the Cloud-TM project). 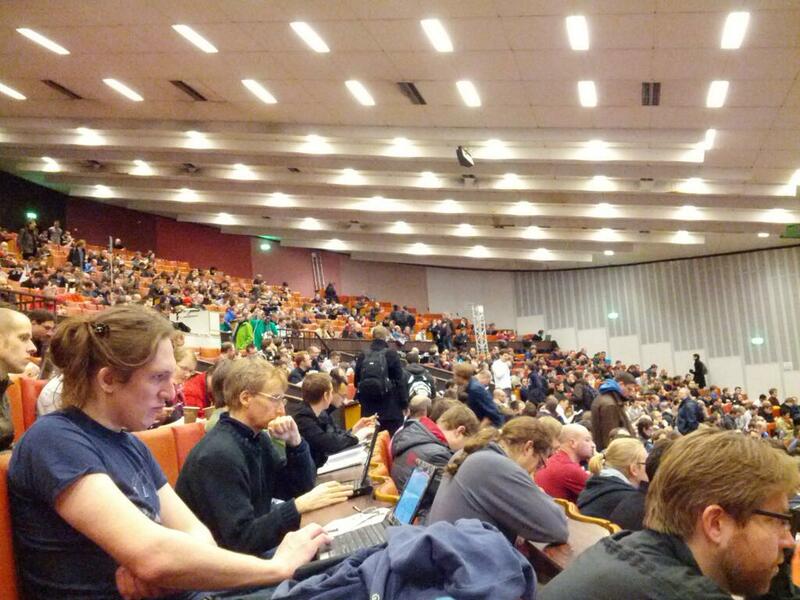 The talk was delivered to a plenary session attended by thousands of developers in the open-source arena, serving as a unique dissemination means to bridge the researchers of the Euro-TM Action to a vast audience of professional software developers.